Finding a strong, engaging topic for your paper often defines its success – no matter what kind of paper you are working on. We at https://snappyessays.com believe that you should invest as much time into deciding what to write about as you spend on actual writing. At that, such a topic should also deal with urgent issues, at least if you want to improve your chances of a high grade. 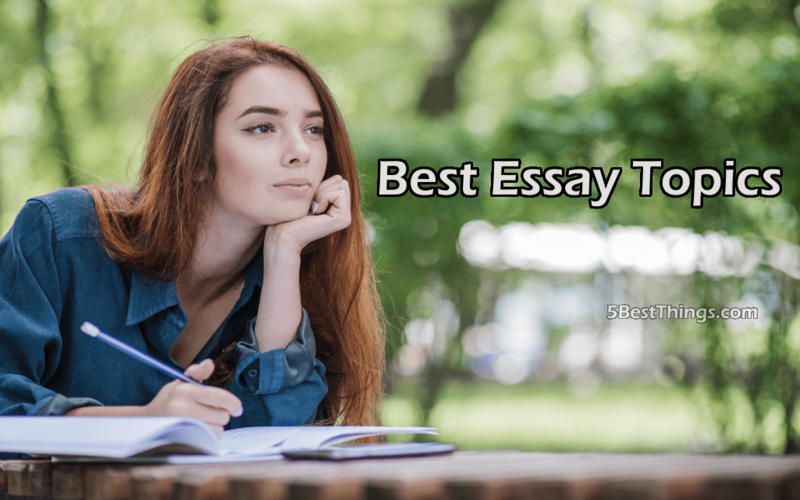 Every year, international events give sufficient material for finding good essay topics for college. All you’ll need to do to come up with ideas is open an issue of New York Times or Washington Post and look through headlines. And if you don’t have the time or desire to do that, we have described key issues that would make excellent essay topics in 2017. After the election of President Trump and his Muslim ban, there was a significant surge in hate crimes all over the U.S. and horrific incidents on U.S. borders. And while the international community condemns such policies, there are a lot of people that support such a decision. There is a fine line between protecting your culture from dissimilation and unreasonable and even aggressive no-immigrant policies. Discuss how to achieve such a balance and root out racism. It is hard to ignore environmental problems in the face of Hurricanes Irma and Maria and an earthquake in Mexico. And yet a big part of people don’t believe in climate change in general – a problem that has to be addressed rather aggressively. Within this topic, you could take a look at measures that have to be introduced to raise awareness and research the causes of such an ignorance. Marine Le Pen was considered rather seriously by the French people to be the President of France, which proves the existence of nationalistic trends in modern societies. Are we progressing towards a better, more tolerant and united world or are we marching back into the past with its ugly attributes like segregation and slavery? The views have divided on the age difference between the elected president Emmanuel Macron and his spouse, making it one of the favorite essay topics for students. While some say it’s not normal, others argue that it’s the right of every person to choose a partner to his liking. Are there any objective criteria to evaluate age difference? Do we have the right to have an opinion at all? The background, the reasons and the consequences of religions that take an aggressive turn (ISIS). Are we going too far in accepting every religion’s right to exist? How to control a religion that preaches death to non-believers while also respecting the human rights? There are many others, of course, that could compete for the right to be called the best essay topic in 2017. The benefit of choosing a topic related to current affairs is that you can actually add to the conversation. You won’t be forced to reiterate what has already been said hundreds of times before you. Instead, you’ll say something of your own, which is a good foundation for any paper.